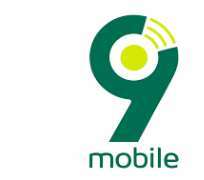 Telecoms firm, Teleology Nigeria Limited, on Monday announced the appointment of a new Board of Directors for Nigerian telecommunication company, 9mobile. The new board is headed by 54 year-old Nasir Ado Bayero. This signals final transfer of ownership of the firm to the new investors, Teleology Nigeria Limited. The Central Bank of Nigeria in collaboration with the Nigerian Telecommunication Commission(NCC), in July 2017 appointed a Board of Directors chaired by Nnanna, the Deputy Governor of the Central Bank of Nigeria, to oversee the affairs of the company pending the completion of regulatory due diligence of the bid documents submitted by Teleology and 16 others for its acquisition.